It&apos;s the end of the summer, and once again, a slew of relatives have returned to the US from their summer trips to Iran. And without exception, what I have heard from every one of them have been horror stories about drugs in Iran. What I am hearing is literally unbelievable. 1) Tehran&apos;s daily opium consumption is over 4 tons a day (according to official Iranian government reports). Yes, 4 tons (metric) a day of opium is sold on the streets of Tehran. 2) Iran&apos;s opium addicts number greater than 2 million (according to the CIA). 3) Khamenei (yes, the Ayatollah, the “supreme leader”) is an opium addict. 4) Afghanistan&apos;s production of heroin has increased from 70 tons a year in 2000 (before the “Liberation”) to over 3000 tons a year this past 12 months!! (This is heroin now, not opium). Heroin is a concentrated form of opium, so opium production is at least 10 folds greater. 5) Heroin prices on the streets of Europe and United States (transshipped through Iran and Russia) are at an all time low — cheaper than crack cocaine. It&apos;s the new &apos;hip&apos; drug of choice in the West!! 6) Hospital admissions of patients with heroin related problems is now at a record, (over 100,000 a year) in United States alone. 7) That the Aids epidemic is rearing its head again in the United States – after years of control. The principal cause of HIV transmission — yes, you guessed it, intravenous drug use. How, can the world sit by and witness such tragedies unfold in Iran, and their own streets here in the West? In an age when spy satellites can read a newspaper on the ground — does anyone doubt the U.S. government&apos;s capability to find the poppy field plantations in Afghanistan? Is any one telling me that they have been scouring the terrain to find bin Landen and they haven&apos;t come across any poppy fields? Okay, we&apos;re adults, we know exactly what happened then and what is happening now — and why! The Taliban did not eliminate poppy fields as a bona-fide effort to eliminate drugs — they did it so they could thwart their enemies (the Northern Alliance for one) that were using drug money to finance themselves. And the U.S. (and the new government in Afghanistan) is not thwarting poppy production — because the same Tribal leaders were our allies in fighting off the Taliban! We needed them, so this is their reward! This is the new Afghan economic development plan… drug exports, drug exports, drug exports! The US government, even had the audacity, to pen up an editorial in the Washington Post two weeks ago, basically saying nothing will be done in Afghanistan (to eliminate drug production) until after elections in Afghanistan (and the United States) in November. Then there was the story, from another younger relative, who said he was invited to a party in northern Tehran. As he walked into the house through the garden, there was a “drug bar” (as a courtesy to guests). Pick your own drug! Drugs laid out on a table for guests to pick from – opium, ecstasy, heroin … blatant, open and sick — without any fear. Then there was another, unconfirmed figure given to me by another person that there may be as much as 6 million Iranians using opium infrequently. 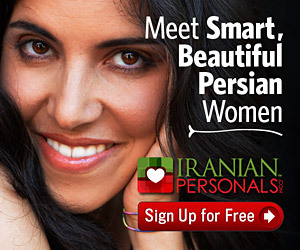 That could be one in 5 adult Iranians. The mullahs in Iran have quietly enabled growth in drug use — if only to keep their grips on power. Like shrewd 19th century leaders Chinese emperors (with British assistance) in Asia – they are cleverly using addiction as a means of pacifying and controlling a population while they steal Iran&apos;s wealth into their private bank accounts in Europe and Canada – all in the name of Islam. It is reported that 1/7th (yes, one in seven) dollars derived from oil revenues goes directly to the “Supreme Leader&apos;s” bank account. Presumably to make sure he has a good supply of drugs and now with evidence coming out of Iraq to payoff Chalabi and Moqtada al Sadr. And, addicts after all are too weak to revolt. The real tragedy of coarse is that it&apos;s not only drugs and addicts. But, it&apos;s the connection to crime and terrorism that the drug traffickers have. All this illicit money gets pumped into gangs that do have links to terrorists, which in turn will destabilize our world. Could this be a repeat of the Contra-war in Central America where the Reagan-Bush administration was aligned with criminals — that led to record levels of Cocaine on American streets in the mid-80&apos;s (allegedly brought in on return flights of military planes after arms drop-offs landing with no custom&apos;s controls)? Who knows? I am told by experts to factor in heroin related deaths to roughly 2% of admissions. So in effect, we have seen 2000 deaths (that&apos;s 2% of 100,000 hospital admissions) due to heroin on the streets this past year. And, I am not even addressing the huge cost of crime from addicts — to scrounge up money to support their habits, or the cost of treating Aids patients. So let&apos;s do the math, 3000 died on 9/11 – and we have had 4000 deaths since the invasion (2 years, you see production went up immediately after the invasion). We&apos;re ahead right? It makes sense right? If 3000 deaths caused so much panic and change — a new Government department of Homeland Security, $160 billion to pay for Iraq&apos;s invasion (to rout out the terrorists, and improve U.S. security… )… why doesn&apos;t 4000 deaths cause equal alarm? If we truly want to eliminate terrorism — we have to eliminate drugs. It should be our number one priority here, in Iran and in Afghanistan. The world did not support the “liberation” of Afghanistan, so that the Afghan&apos;s would have an Enduring Freedom to grow opium and produce Heroin. The United States should not even contemplate an engagement with Iran&apos;s mullahs — it would be basically the same as dealing with Noriega. (Oh, I am sorry, I forgot that Bush senior was close to him). And, as they say in Germany, it&apos;s all about REAL-POLITICK. This past week, the Bush administration, quietly announced that it would pursue only diplomatic solutions with Iran. The Bush administration has backed down from its original &apos;fall offensive&apos; plans. And then, Kerry, has quietly declared a plan for dialogue with the regime in Iran. Say that again: Yes, they want to deal with a bunch of drug dealers and an addict?